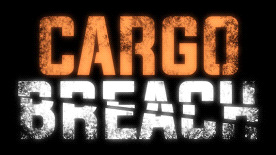 Cargo Breach is an Intense VR Arcade Shooter with Unique Weapon Mechanics. You hunt down escaped creatures in dark atmospheric spaceship corridors. All presented in stunning AAA graphics. Gesture based gun mechanics allow you to switch guns by aligning your controllers differently. For instance hold one behind the other to form the "Shocker". Various weapon types that each have a different impact on the threats. Randomized Level creation. Each run will be different, Blasting numerous waves of creatures along the way. Amazing spatialized audio allows you to locate your enemies in the dark. Stunning state of the art, High-end Triple A+ graphics.